Before the Year of the Pig begins, China will celebrate the end of the year with the 36th Spring Festival Gala, referred to as Chunwan (春晚). Each year, the four-hour New Years Gala is the most watched television show in the world, with at least 700 million viewers tuning in. 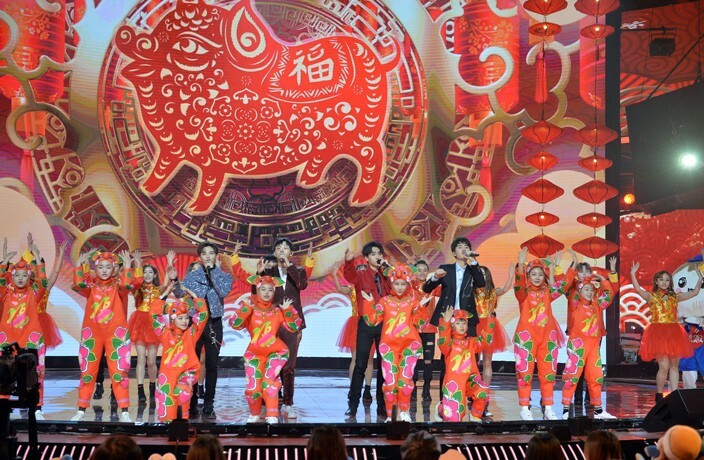 The 2018 Spring Festival Gala featured various international performances, which was considered unique for the primarily domestic entertainment show. One comedy routine caused controversy when an Asian actress performed on TV in blackface, the practice of using make-up to appear black. The skit, which aimed to celebrate African-Asian relations along with recent Chinese investment in Africa, was viewed by many as deeply offensive. This year’s gala is said to focus on the market’s latest technologies, like virtual reality (VR), artificial intelligence (AI) and 5G networks. The gala’s main venue will be in Beijing with other segments of the show being performed and broadcasted in Jinggangshan in Jiangxi province, Changchun in Jilin province, as well as Shenzhen. Past shows have featured the likes of Stephon Marbury, Jackie Chan and TFBoys. So, do you want to see the most viewed show on television for yourself? You can watch China’s most anticipated event of the year right from your computer or phone. Streaming: CCTV1 Live Stream / CCTV3 / CCTV4 / CCTV7 / CCTV Children / QQ Video / Youku / iQiyi / Youtube / Facebook / Douyin/TikTok (Viewable on the app). Click here for more content on Chinese New Year 2019. Check out these big upcoming gigs! It's that time of year again where Urban Family and That's Shanghai will take over Green City in Jinqiao for our annual Sound of Spring festival. The British heartthrob is hitting Guangzhou, Shanghai and Beijing this April. Get Your Tickets Now and Skate Into Spring With the Family! A fun day for the whole family. The Grammy Award winning singer-songwriter talks collaborating with Norah Jones and Petra Haden before his Mainland debut at JZ Spring.